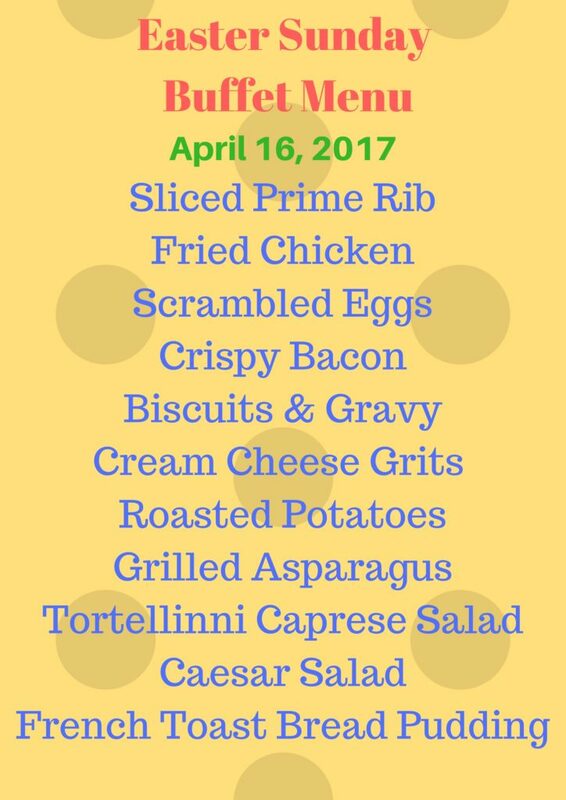 Make your Easter Brunch 2017 reservation today! The Warren will be serving a lovely brunch Sunday, April 16th beginning at 10 am. Chef Adam Chappelear has come up with a tasty buffet menu that is sure to please even the pickiest of palates. We still have a couple of tables open and can’t wait to share the holiday with you and yours. For just $20 per adult and $10 for kids 6-12 (no charge for kids under 6), it’s fun and food for the whole family! Call 404-789-3999 today to make your reservations. The Warren has everything you need for the perfect Easter Brunch!